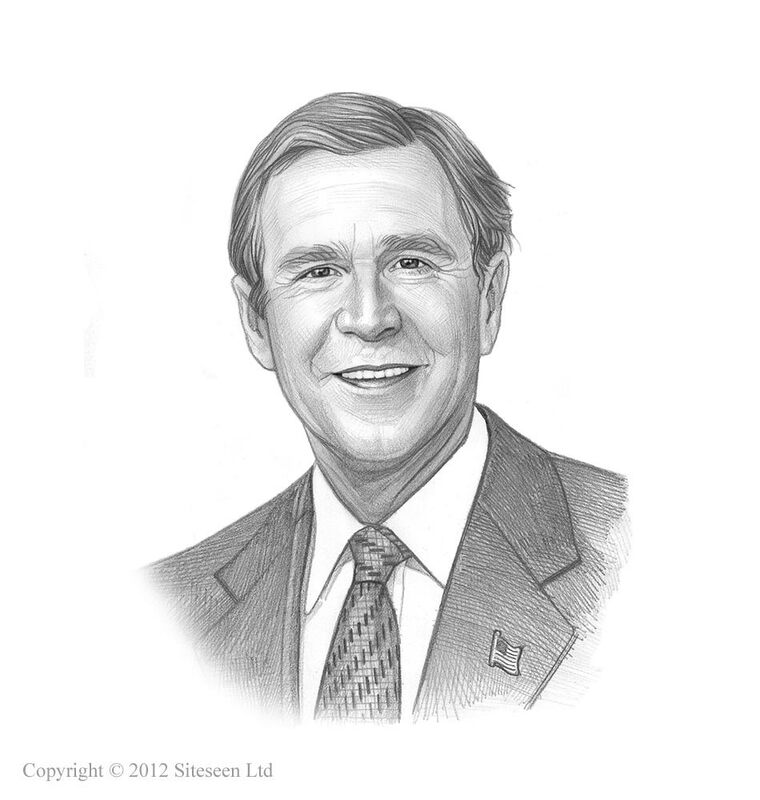 Guantanamo Bay: George W Bush was the 43rd American President who served in office from January 20, 2001 to January 20, 2009. One of the important events during his presidency was the opening of the Guantanamo Bay detention camp in response to the September 11, 2001 terror attacks. Summary and definition: The Guantanamo Bay detention camp, referred to as Gitmo, is a United States military prison located within Guantanamo Bay Naval Base in Cuba. The purpose of the Guantanamo Bay detention camp was to house Muslim militants and suspected Al-Qaeda and Taliban terrorists captured by U.S. forces during the War on Terror that followed the September 11, 2001 terror attacks. Guantanamo Bay detention camp was repeatedly condemned by international humanitarian organizations for alleged human rights violations, including the use of various forms of torture during interrogations. The following fact sheet contains interesting facts and information on Guantanamo Bay. Guantanamo Bay in Cuba was first used as a camp for US troops during the 1898 Spanish-American War. The Spanish-American War ended in victory for the United States and Cuba obtained independence from Spain. The 1903 Cuban-American Treaty leased to United States the southern portion of Guantanamo Bay, where a U.S. Naval Station had been established in 1898 during Spanish-American War. The deal with Cuba was to lease 45 square miles (72 square km) of land in Guantanamo Bay. The lease can only be terminated by mutual agreement. The 1934 Treaty of Relations, part of the "Good Neighbor Policy" removed Cuba from the direct sphere of American influence with one exception - the continued control of Guantanamo Bay by the U.S. Military. In 1961 the US-Cuba relationship broke up following the Bay of Pigs Invasion, closely followed by the 1962 Cuban Missile Crisis but the US naval station in Guantanamo Bay remained in tact. In November, 1991, the Guantanamo Bay Naval Base started being used as a migrant detention center to detain Cubans who were attempting to reach the United States. The administration of President George H.W. Bush maintained that detainees held at Guantanamo Bay were not entitled to any U.S. rights because they are being held in Cuban territory. In 1994 it was used to detain large numbers of Haitians fleeing the military dictatorship in Haiti. The 9/11 terrorist attacks shocked the world and began the War on Terror. The American War in Afghanistan began on October 7, 2001 when the United States invaded Afghanistan after the September 11, 2001 terror attacks. On November 13, 2001 President George W. Bush signed a Military order authorizing the creation of military tribunals for the detention, treatment and trial of certain non-citizens in the war against terrorism. The order stated that military tribunals would have exclusive jurisdiction, in respect of offenses by foreign terrorism suspects, in proceedings that lack the due process protections of US federal courts. Al-Qaeda and other terrorist groups such as the Taliban, do not adhere to the rules of war, they do not represent any state or government, nor or they party to international treaties or conventions. The existing migrant detention facilities at Guantanamo Bay were hurriedly changed and on January 8, 2002 Cuba was officially informed that the U.S. was establishing the base as the Guantanamo Bay detention camp (aka Gitmo). The purpose of the detention camp (Gitmo) was to house Muslim militants and suspected Al-Qaeda and Taliban terrorists captured by U.S. forces in the War on Terror. On January 11, 2002 the first 20 suspects were brought from Afghanistan to Camp X-Ray in the Guantanamo Bay detention camp. Camp X-Ray was an outside, temporary prison consisting of roughly 8-foot-square cages made of concrete and wire. On April, 29, 2002, Camp X-Ray was closed and all prisoners were transferred to Camp Delta. Camp Delta, consisting of camps 1-4 was originally constructed from shipping containers to which heavy mesh covered windows were added. (opened November 2006)with central video monitoring of each cell and electronically controlled gates, camps 1-4 . A small number of higher-level detainees were placed in an an intelligence operations center in the hills called Camp 7. October 11, 2002 Guantanamo officials request that additional techniques beyond those in the U.S. Army Field Manual be approved for use. On December 2, 2002 Secretary of Defense Donald Rumsfeld prescribed a new interrogation policy for Guantanamo Bay detainees authorizing prolonged isolation, sensory deprivation, hooding, removal of clothing, 20-hour interrogations, the use of stress positions, exploiting phobias to induce stress (such as fear of dogs) and forced grooming (such as forcing Muslim men to shave their beards against religious practices). By May 2003 the number of detainees in Guantanamo Bay prison numbered 680. In 2006 the U.S. Supreme Court declared that the system of military commissions that was to be used to try selected prisoners held at Guantanamo Bay detention camp was in violation of the Uniform Code of Military Justice (the foundation of military law in the United States) and the Geneva Conventions (basic rules of international humanitarian law). The legality of the military commissions was restored in 2006 by the Military Commission Act "to authorize trial by military commission for violations of the law of war, and for other purposes.". In June 2008 the US Supreme Court ruled that detainees should have the right to habeas corpus to challenge their detention in US Federal Courts. During the presidential election Barack Obama had called for Guantanamo Bay detention camp to close. When President Barack Obama assumed office on January 20, 2009, Guantanamo held 242 detainees out of the total 779 detained during the Bush administration. On his second day in office, President Barack Obama signed an Executive Order establishing the Guantanamo Review Task Force, and pledging to close the prison. Guantanamo Bay detention camp was repeatedly condemned by international human rights and humanitarian organizations including the Red Cross, Amnesty International and the Human Rights Watch for alleged human rights violations, including the use of various forms of torture during interrogations. The closure of the detention camp was subsequently delayed by opponents in Congress, who argued that housing the detainees in prisons on U.S. soil would imperil national security. On October 28, 2009 Congress passed the third iteration of military commissions with the Military Commissions Act of 2009. On March 7, 2011 President Barack Obama signed and executive order creating Periodic Review Boards to assess detainee status, recommending whether individuals held in the Guantanamo Bay detention camps are safe to release or transfer, or whether they should continue to be held without charge. In February 2013 Guantanamo Bay 106 of a total of 166 detainees launched a hunger strike to protest lack of due process. On May 23, 2013 President Obama pledged to increase efforts to close Guantanamo Bay detention camp. On December 9, 2014 a US Senate report details torture techniques used on detainees by the CIA. It detailed that Khalid Shaikh Mohammad, a detainee in Camp 7, was water-boarded 183 times and outlined similar torture abuses inflicted on other Guantanamo Bay detainees. During his State of the Union address on 20 January 2015 President Obama stated Guantanamo Bay "is not who we are" and that it was "time to close Gitmo". Only one thing is certain. The terrorist threat will persist no matter what happens with Guantanamo Bay detention camp.